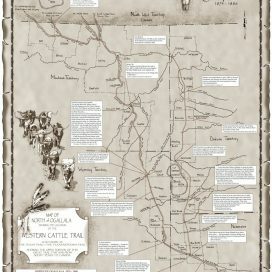 View cart “The Western Cattle Trail 1874-1897, Its Rise, Collapse, and Revival” has been added to your cart. 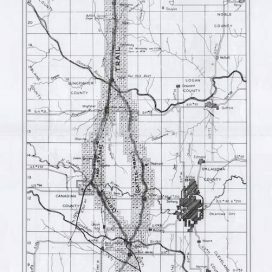 The second in a four-map series, this map shows the Goodnight trail system. 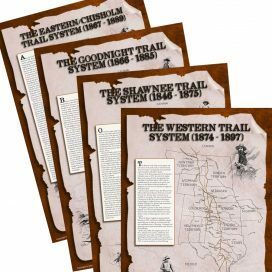 Charles Goodnight blazed more trails than any other trail driver. 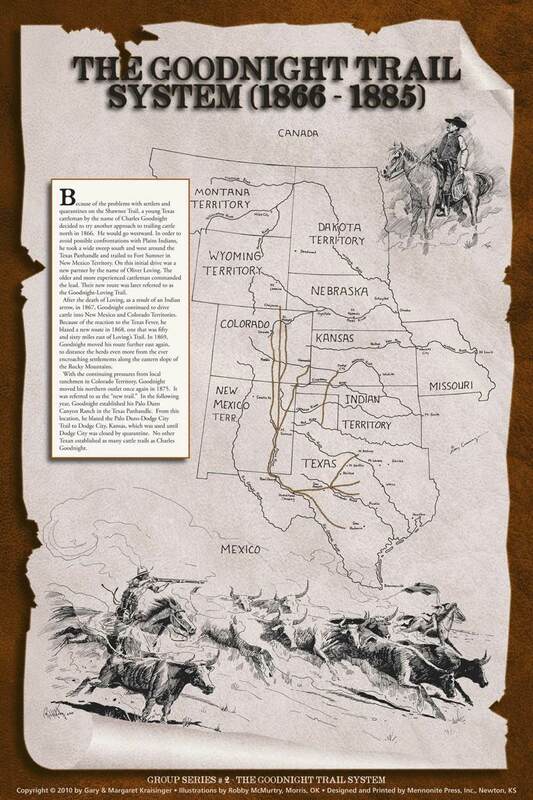 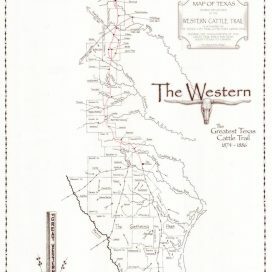 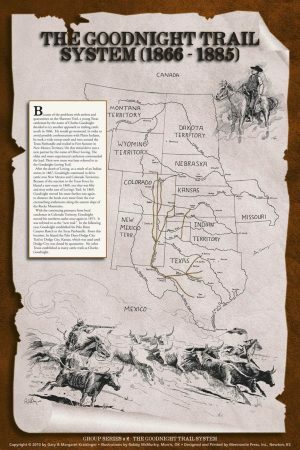 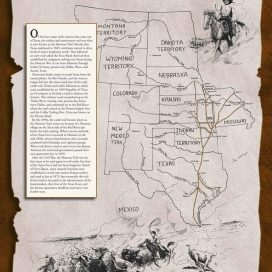 This map shows five different trails used by Goodnight starting from Texas, going through New Mexico Territory, to Colorado in 1866 and ending with his Palo Duro-Dodge City trail from the JA Ranch in the Texas panhandle.